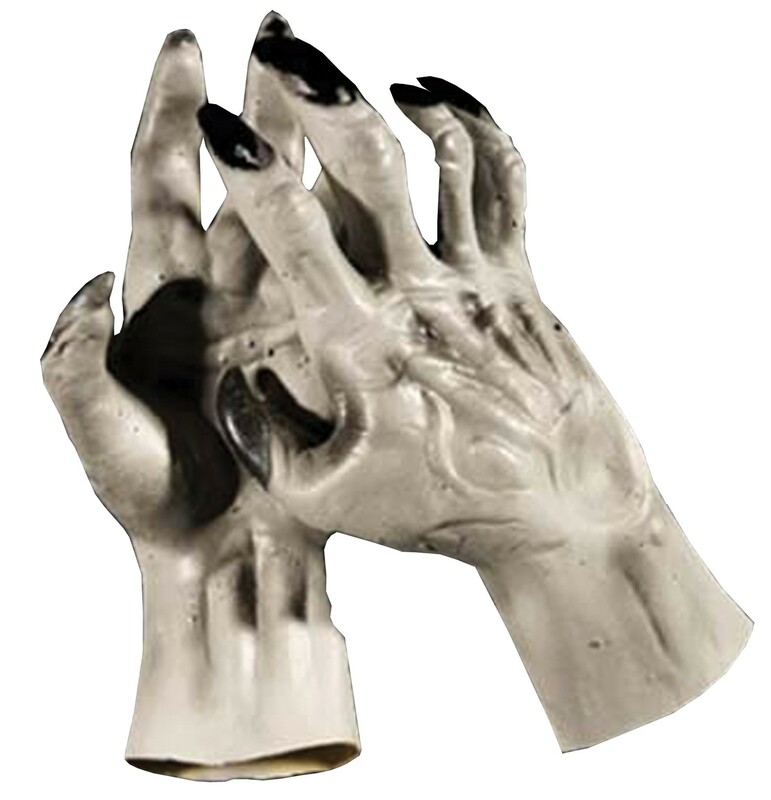 Werewolf hands easily accommodate large hands. Very popular with making up your own costume. Latex sculpted hands. 14 inches from tip of middle finger to wrist edge.